Challenger Tractors at Chandlers Belton Depot Used Challenger tractors are supplied from Chanders depot at Belton, nr Grantham in Lincolnshire, UK. for retail, trade and export sale. To find our Chandlers Belton depot please see below the interactive map, you can scale the map to get the most appropriate view. Chandlers Belton depot will handle the cleaning, servicing, preparation and delivery of your used Challenger tractor. Our head office and accounts departments are also based at our Chandlers Belton depot. 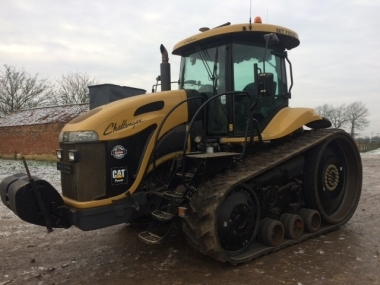 Challenger tracked tractors are supplied second hand from Chandlers Belton Challenger Tractors depot. 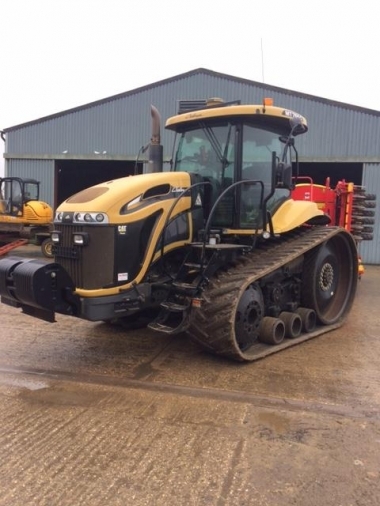 Stocks of good quality used Challenger tractors are available to view all year round, in our large and well laid out yard. Chandlers Belton depot is open 7 days a week for tractor viewing (along with our Country Stores). 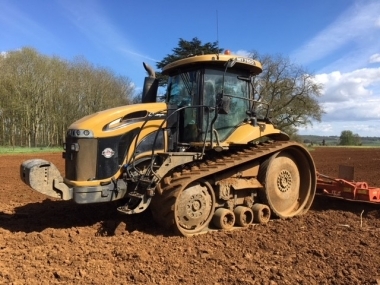 If you wish to discuss your purchase with Chandlers Challenger tractor specialist then please give us a call or send an email so we are on hand to look after you. Loading of Challenger tractors for transport can be done at the Chandlers Belton depot onto flat bed lorries from our purpose built fixed loading ramp. Located just 3 miles from the A1 dual carriageway (London to Edinburgh road), the Chandlers Belton Challenger tractors depot is easy to access from anywhere in the UK and Europe. The most local air-ports are Nottingham East Midlands airport (1hr by car), Doncaster Robin Hood airport (1 hr by car), London Luton (1hr 30min by car), or Birmingham airport (1hr 45min by car). Grantham is served by train on the East Coast mainline (50min by train), and Chandlers Belton Challenger tractors depot is only 3 miles from the train station. We look forward to welcoming you to view our stock of used Challenger Tractors at our Chandlers Belton depot.